Does not need to be plugged in. It's battery operated. Has microphone and speakers are inside. 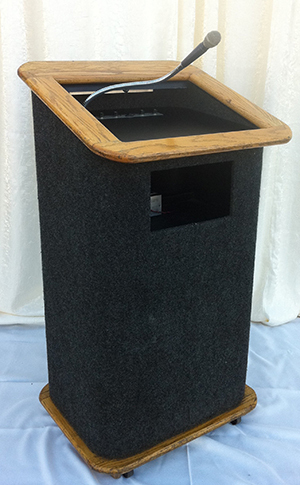 * Please call us for any questions on our podium oak w/p.a. system rentals in Ventura CA, and surrounding metro area.